Researchers have used millions of coral sperm and egg bundles to help improve reefs heavily degraded by the 2016/17 bleaching events. 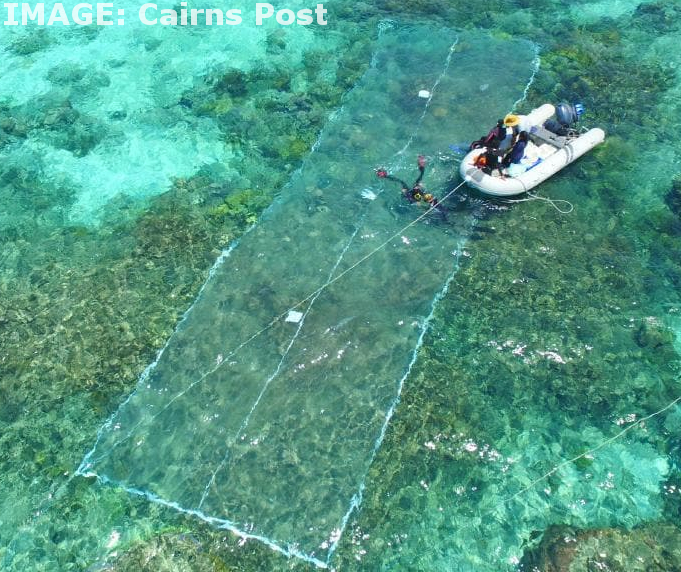 A new test is the first time ever that the entire process of spawn capturing, larval rearing and resettlement has been conducted on the Great Barrier Reef. This successful trial is a critical step forward in moving from small scale, lab-based rearing to large scale, floating enclosures on the Reef. It is hoped that these findings can be scaled globally to reefs around the world under pressure from climate change and other threats. “One of the successful innovations from this project was the mass capture of eggs and sperm directly on the Reef while corals were spawning,” said Southern Cross University’s Professor Peter Harrison. To settle the coral larvae, the team placed large mesh sheets resembling wedding veils on to the degraded sections of reef. Concentrated larvae were then added into the mesh covering and sealed, allowing the larvae a greater chance of finding a suitable place to settle. With their parents having survived the mass bleaching, it is predicted the larvae resettled back on to the Reef will also grow into thermally tolerant corals, and so better able to survive future bleaching events. This project is a collaboration between researchers and the Great Barrier Reef Marine Park Authority, Queensland Parks & Wildlife Service, as well as other key industry partners. Key innovations were also successfully tested in the lab, with results showing that coral larvae from at least two key species can be infected with a highly thermally-tolerant symbiotic algae. Ensuring corals maintain symbiosis with these heat tolerant algae is important for future survival as reefs continue to warm under climate change. “We’re buzzing with these findings,” said researcher Professor David Suggett said.